Ricky Skerritt arrives at the Jamaica Pegasus Hotel on Sunday for Cricket West Indies (CWI) presidential election. (PHOTO: Marlon Reid). 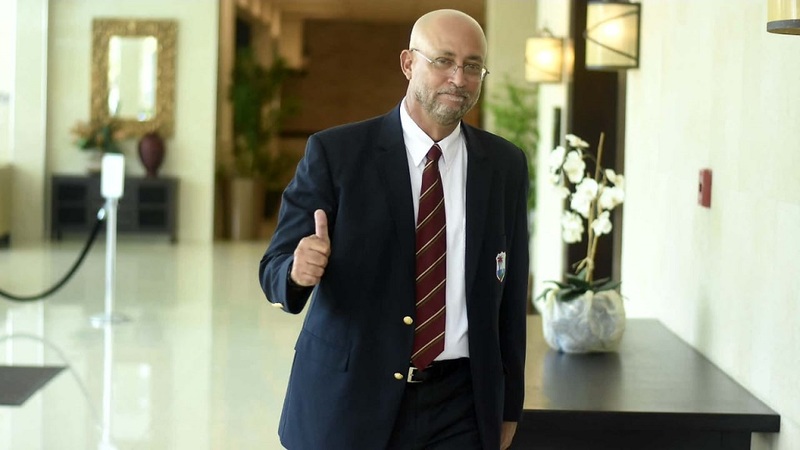 Former West Indies team manager Ricky Skerritt is the new president of Cricket West Indies (CWI). 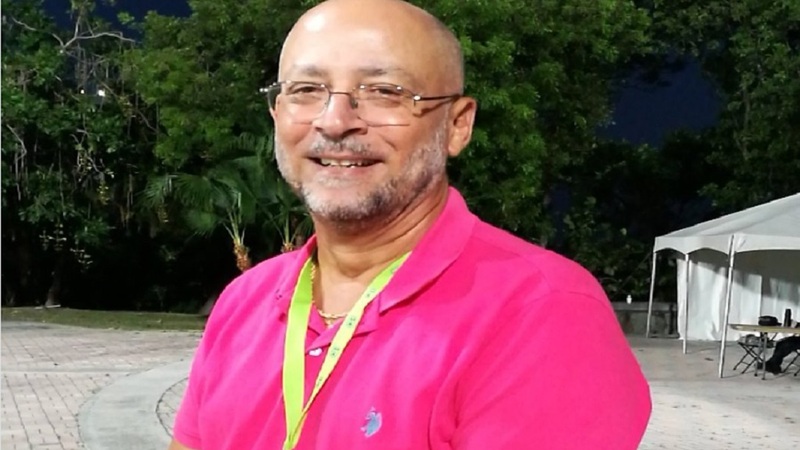 Skerritt, 62, defeated the incumbent Dave Cameron 8-4 at CWI's Annual General Meeting (AGM) and elections on Sunday at the Jamaica Pegasus Hotel. Skerritt running mate, Dr Kishore Shallow, who challenged Emmanuel Nanthan for vice president, also won by the same margin. “I am humbled and deeply honoured to be elected as President. We pledge to work for improvement on and off the field for West Indies Cricket,” said Skerrit. The new president was expecting a closer margin of victory. He said, "we have been spreading the message, which we know was getting on to furtle soil but we really didn't come in here with any hard guarantees of votes. We figured we would get six and we would be happy if we got seven." “I am grateful and humbled by the support of the members of the territorial board. This is a victory for West Indies Cricket,” said Dr Shallow, a 35-year-old entrepreneur. The proceedings were done under the watchful eyes of the international audit firm, KPMG. Challenger Ricky Skerritt (left) and incumbent Dave Cameron at the Jamaica Pegasus Hotel just before Cricket West Indies (CWI) presidential election. Cameron was seeking a fourth term in office after serving three two-year terms. 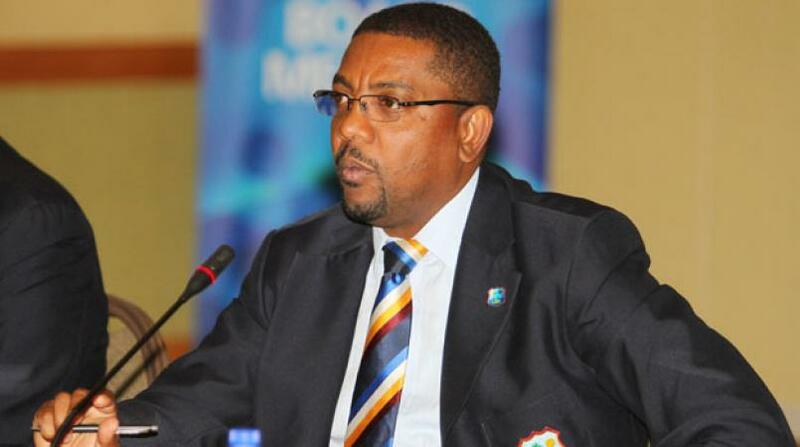 However, although the Windward Islands Cricket Board, Barbados Cricket Board, and Guyana Cricket Board had stated publicly that they would support Cameron, the 47-year-old businessman received a big setback to remain in office after the Jamaica Cricket Association voted not to support its countryman. 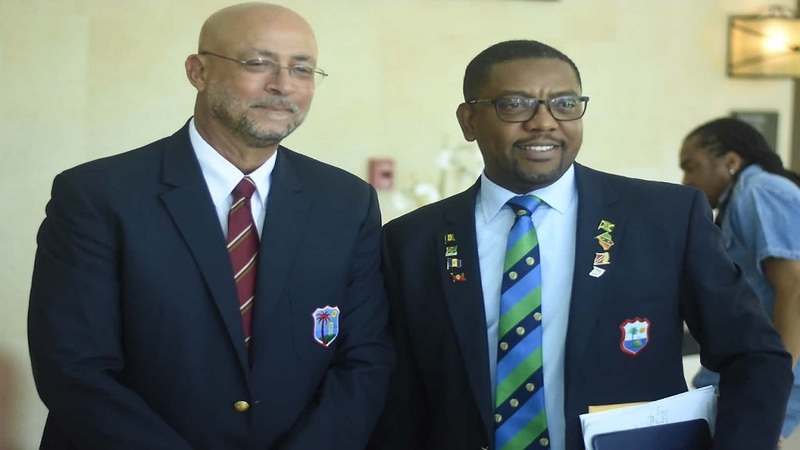 The Leeward Islands Cricket Board and Trinidad and Tobago Cricket Board had publicly stated that they would support Skerritt and Dr Shallow. And just a few hours before the election, the Skerritt campaign gained momentum with two more former players - Roger Harper of Guyana and Deryck Murray of Trinidad and Tobago - offering support. Darren Sammy of St Lucia, Sir Vivian Richards of Antigua and Guyanese Clive Lloyds - all former West Indies captain - had also supported the Skerritt campaign. Skerritt had previously been a cabinet minister and senator in the national assembly of St Kitts and Nevis and has also served as minister of tourism. He has an MSc from Oxford University where he was a Rhodes Scholar.